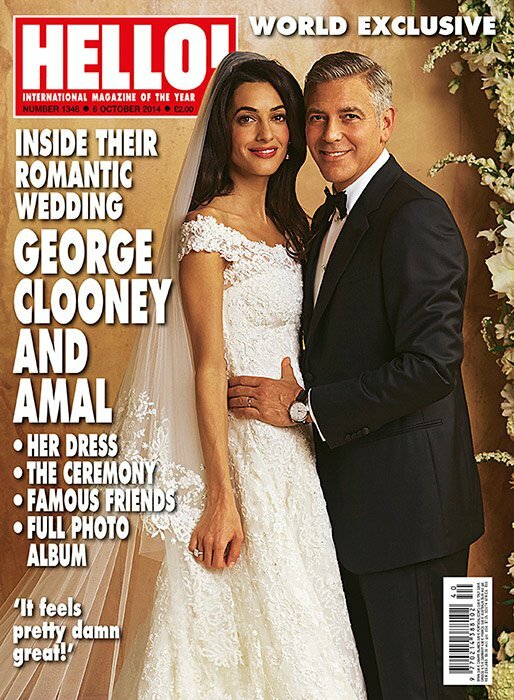 If you don’t know who’s Amal Alamuddin you probably have been offline in the last week. She’s George Clooney’s bride and their wedding has been the most important celebrity event recently. But, marring the sexiest Hollywood bachelor is not the most important thing she’s popular with. Miss Alamuddin is actually a very successful layer. When you see a picture of the beautiful brunette with long legs you think “Wow, she’s hot! Clooney is one lucky man!” And that’s absolutely true. But, when you read her biography you find out she’s not only hot, but also very bright. Her career is a prоof of that. Here are 15 facts you didn’t know about the new Mrs Clooney. And, yes, George is one very lucky man. She speaks three languages – English, French and Arabic. She’s more than well educated. Amal got her English law degree at world-renowned Oxford University, then continued her education at the NYU School of Law. She’s a very successful layer. Let me just share with you the names of some of her clients – Julian Assange, Kofi Annan, Yulia Tymoshenko. Amal is from a prominent Lebanese family. Her mother is a famous journalist. Her father is a retired professor of business studies at the American University of Beirut. Amal Alamuddin is the legal advisor to the King of Bahrain. She has written many articles on international criminal law and is an editor of the book named “The law and Practice of the Special Tribunal for Lebanon”. She’s an activist. Here we have one more reason to admire her! Amal is named to be one of the 21 hottest layers in London for 2013. “She’s the hottest layer in the world”, says Mr. Clooney. Well, it seems like it’s a title she deserves. Her love life wasn’t very exciting before Mr. Clooney. Amal was looking for Mr. Perfect, says a friend of her. Well, it seems she finally found him. She quit smoking after she met George Clooney. She got married in beautiful Oscar de la Renta’s dress. And, she looked stunning! Amal is a real fashion icon without making any effort. She just wears her clothes with the instinct of a clever woman. She’s not the “new George Clooney’s hot girlfriend”. Amal is much more that that. She’s a beautiful and well educated woman with impressive career. Well done, girl! She seems to have it all!